Do I have to NCOA? One of the top questions on customer’s minds has been NCOA since the requirement to comply with move update standards set in the later 2000s. I hear questions about it all the time. Why should I NCOA, why should I pay to have my list run through this system? What does NCOA stand for? Is it secure? Well first off NCOA stands for National Change of Address. It is simply a USPS dataset that allows us to correct your list for address changes that have occurred over the last 48 months (4 years). It is secure and this is why an authorization form is needed from the client once every year to insure that you are who you say you are, and you have the authority to transfer the data to NCOA. NCOA will not end all returns. NCOA will likely only reduce your number of returns by about 50%. So if you get 3% returns after NCOA, chances are you would have gotten 6% had you not used NCOA service. What NCOA does is like your database with the National Move File. The National Move File is created when someone fills out a Move Update Form when they move. There are many reasons NCOA might not catch a move. The person or company moving did not fill out a Move Update Form with the USPS. The USPS only considers a New Move match when the address and name are exactly the same as it is in their file. So if a name is misspelled, it will not show up as a match much the same way de-dupe processes work. This is probably one of the most common ways a miss occurs in the NCOA system. When someone fills out a Move Update Form, it will only be added National Move File, if it is filled out correctly. Incomplete files are purged from their system. NCOA scans your list of active clients and prospects to find out who has moved, when the moved and to where. It provides us with a much cleaner and postal deliverable data file once the NCOA process is completed. There are two methods of becoming compliant with USPS bulk mail move updated standards: postal endorsements (popular ones include: Address Service Requested/Forwarding Service Requested/Change Service Requested/Return Service Requested), and NCOA. Or you can opt out by placing “or current resident/occupant” beneath the company and full name fields above the address and city, state, zip lines. Wanting to maintain your active database. Seeking to maintain an exclusive membership only list like a local Chamber of Commerce or Rotary club. Knowing that your list has some issues with regards to deliver-ability to the consumer. Wanting to find out where your clients have moved to. Wanting to get a list of who amongst your clientele has moved and to where. It makes the people that you were previously unintentionally mailing to happier by not giving them junk mail with another person’s name on it! To improve the ROI on the dollars spent on direct mail printing. For companies and organizations that have a select few individuals and/or companies to target (about 500 or less) frequently (monthly or bi-monthly), I suggest a NCOA on the initial list and then follow up subsequent mailings with Return or Address Service Requested. Anything beyond 500/month should have NCOA frequently to avoid return charges. For projects in which you seek to mail to the house itself you will likely need to use “or Current Resident/Occupant” on the mailer itself to know it gets to the residence or facility it is intended to get to; this is common amongst real estate developers mailing to their homes they have built. While the original owner may not be present any longer, it is beneficial to know your marketing product has made its way to the desired home. In this case though, you should internally NCOA just to find out who has moved and which homes you need to find out who their current contact might be. For multiple drop projects where you plan to have a list that you mail to say 3 times over the course of 3 months or less will be perfectly compliant by NCOA’ing the list just one time or purchasing a brand new list for the 3 drop campaign. You can amortize the cost of the list across 3 lots which makes it seem like a negligible cost when you see how many moves were updated prior to the delivery to the Post Office. For data mining projects in which I provide you with a list of records based on demographics your data will come NCOA compliant for 95 days whether it is a multiple drop or single drop campaign. This is good news because then you have a 100% postal certifiable and deliverable list in your hands ready for processing and printing mailers. In the case of multiple drop campaigns lasting longer than 3 months, I recommend getting on a plan of regularly NCOA’ing the list at the 95 day mark or simply reordering a new list which will be compliant for another 95 days. The latter is preferable because it insures you have new and accurate data to reflect the changes made to your database because it was likely mapped with geography and other indicators like income or marital status that might change over the course of a few months. A lot can be said about the USPS and all of its rules and regulations. I know that it is easy to squawk at a lot of them and I am right there with you. But in this case I think they are doing something good here. Prior to the move update requirement going into effect, many millions of mail pieces each year were being trashed because they were undeliverable or they had moved. This is an attempt to clean up a big chunk of that. And personally I have noticed an improved in my nearly 10 years in the direct mail business. 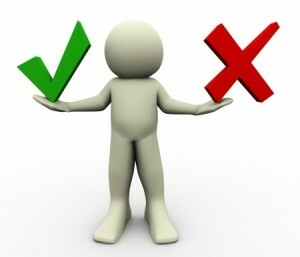 There is no sense wasting dollars on printing, mailing and postage if your list is up to date and correct. 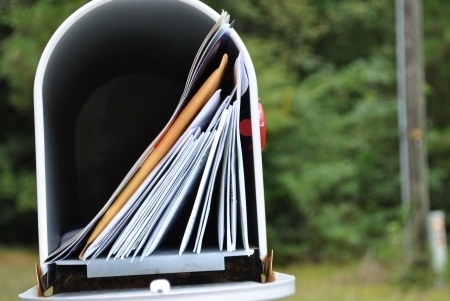 NCOA is often a vital component of your direct mail marketing efforts. Turn your direct mail from junk into a real marketing tool by ensuring your database its clean with NCOA.